A found footage film is technically a pseudo-documentary film (also called fake documentary), which is a fictional film in which all or a substantial part of the picture is presented as being composed of recordings of real life events, seen through cameras that are part of the events. The cameras may be operated by one or more characters in the film or they may also record on their own (like surveillance cams). The pseudo-documentary must not be confused with the mockumentary, which is based on parody, satire and farce. What differentiates a found footage film from a pseudo-documentary that is not found footage is the fact that it implies that the recordings were lost or given away and then subsequently discovered, edited and brought to light by persons different from those involved in filming. Not to be confused with genuine found footage. The found footage filmmaking concept is misunderstood and underestimated by the majority of film professionals, academics, critics and moviegoers, so I’m going to reveal a unique perspective on this genre that I’m sure everyone is missing! but here comes the second part of his method as a theatre director, the one that revealed me the huge potential of the found footage genre: Ion Cojar also argued that the audiences, in order to empathize in a total way with what they see and hear, must not have the impression that they’re witnessing a theatre show, but a genuine life situation/event! Ion Cojar aimed to make theatre shows that paradoxically don’t look like shows at all, where the audiences would find no elements whatsoever to indicate that they are witnessing a theatre show and not an actual life event! I translated the second part into film language and I came up with the conclusion that the audiences must not have the impression that they’re watching a movie made by filmmakers and actors, which creates an obstacle for the potential to empathize, but genuine life events recorded by people like them that were part of the events! In a found footage movie, the camera’s existence is justified within the movie’s plot, so the fact that you see the footage is also justified, unlike a traditional movie where there is no explanation within the movie’s story for the fact that you see what you see. When you see a good movie with great acting and lifelike events, but without being found footage, your subconscious mind tells you “this is not real! how do you think you’re able to see what you see and hear what you hear? it’s because someone filmed it! someone who had no place in that life event and neither his camera!!”. And when your subconscious mind tells you that, you automatically and unconsciously stop believing what you’re seeing and hearing, even if the acting performances and directing are 100% lifelike! And thus you cannot totally empathize with the actors and the events, so you’re robbed by what could have been an incredible movie experience! The first part of Ion Cojar’s method is crucial, but it’s not enough. The perfect example is The Celebration / Festen (1998), a great movie where the acting and the events are 100% believable, but because of the grainy image you are aware that everything is seen through cameras operated by filmmakers and the actors pretended that they aren’t there among them. The second part of Ion Cojar’s method is the key. Although the key will have nothing to open if the first part isn’t accomplished, since there are also a lot of found footage films that don’t work because the acting and the events are far from lifelike. April 2015 Update: And another thing. Why spend tens of millions of dollars on sophisticated gear and effects to make the audiences forget that they are watching everything through a camera, when you could spend only tens of thousands and justify the presence of that camera within the movie’s story? October 2015 Update: A found footage film seems so easy to make, but in fact it requires years of hard work and a lot of sacrifices to create a fictional world so realistic that the work behind it becomes invisible. You cannot direct a found footage the regular way. It’s all about creating the circumstances. Think of all the circumstances that led to our present life moments, all the events we went through since childhood that shaped our personality and made us behave the way we do. When making a found footage film, you need to create thousands of circumstances when talking and working with the actors, most of them psychological, months in advance before shooting. Circumstances that would lead during filming to a very focused improvisation similar to a new reality. A fictional one, but with the same mechanisms as our real one. A self sustained fictional reality! I’ve chosen for exemplification three great found footage movies from three genres: horror, thriller and drama. All are independent low-budget films. The Blair Witch Project (1999) – directed by Daniel Myrick & Eduardo Sanchez – a groundbreaking horror/mystery masterpiece where the directors created all the circumstances in which the truth of life could occur – and it occurred in a big way! Check its Trivia section on IMDb to find out how they did it, the unique method they used – the groundbreaking creative process! The Blair Witch Project‘s huge international box office and critical success drew a lot of attention to the found footage genre. The movie gave me revelations that only 2001: A Space Odyssey had given me years earlier, but also created a bad stigma for all the found footage films that were to come, through the huge backlash that followed. The reasons for the backlash are various. One is the fact that the movie was promoted as genuine found footage and people felt betrayed when they found out that it’s fiction. Other is the fact that mainstream moviegoers were used to watch big-budget Hollywood movies with high technical quality image and sound. They weren’t ready in 1999 to see on a big luxurious screen such a low quality image and sound recorded by relatively cheap handheld camcorders like the ones they had at home or the ones used to record tv coverages. 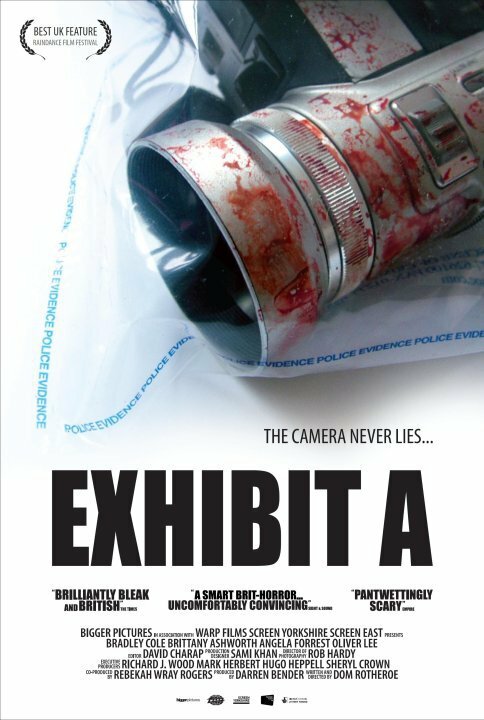 Exhibit A (2007) – directed by Dom Rotheroe, produced by Darren Bender – one of the greatest found footage movies since The Blair Witch Project! A thriller with a groundbreaking dramatic ending! The only thing missing from The Blair Witch Project is a deep human drama – and this is where Exhibit A excels! One of the film’s frames near the end contains a unique cinematic experience! [SPOILERS] The girl, Judith (brilliantly played by Brittany Ashworth), seems to be dead… the camera falls near her face… we see her mouth and nose through the camera’s lenses… and then we see the lenses fogging and we feel shivers on our back… and since the lenses have become the same thing with our screen, with our eyes, with our whole being… we almost feel her breath on our cheeks, feel the life fighting in a human being against all odds… the closest a film spectator will ever feel to the world within a movie! When you watch the film you gradually empathize with Judith, you start to feel like you are her camera and in the end you feel her breath of life invading your whole body. That scene struck me like nothing before in film history regarding the connection between our real world and the fictional world within a movie! Don’t look at the IMDb rating, it may be the most underestimated film of the 21st century! 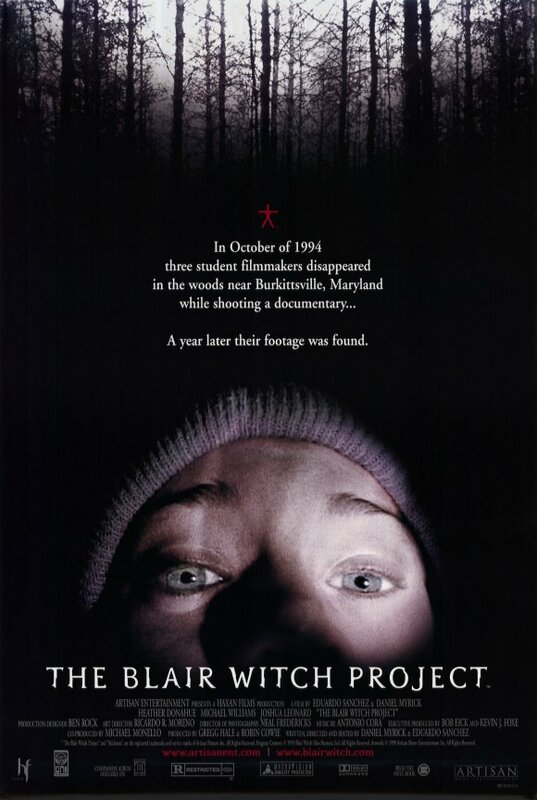 It isn’t perfect as The Blair Witch Project in displaying 100% lifelike events, but it surpasses its flaws thanks to that scene near the ending, along with an authentic incursion into the paradox of the human nature and strong acting performances. Zero Day (2003) – directed by Ben Coccio – the first great found footage film to emerge after The Blair Witch Project! A very sincere piece of cinema… it even can’t be called a drama… just a pure piece of life… two adolescents film themselves as they prepare to commit a massacre at their local high-school. 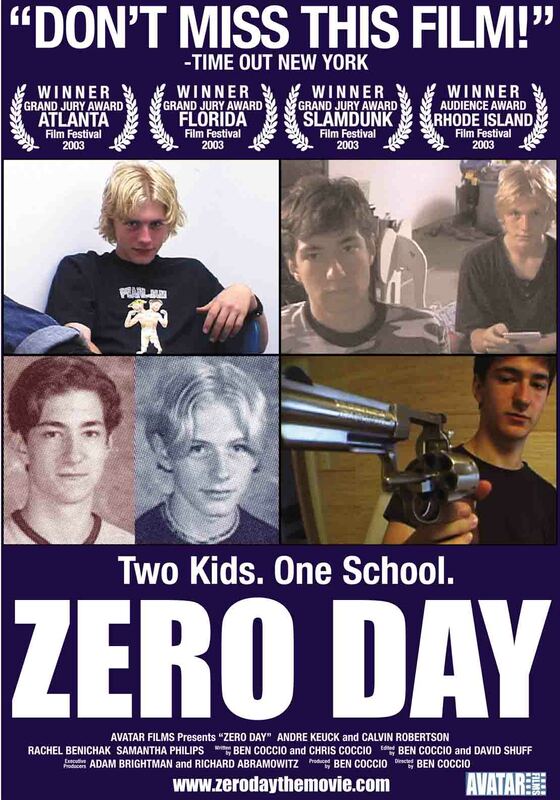 As you’re watching the movie, you’re fascinated by the fact that in a real life situation, the footage made by a pair of real “columbine kids” would have looked the same as this fictional one. You even begin to wonder if the teenagers in the movie don’t actually have the same psychology as the characters they are playing. At a certain point in the movie, one of them realizes that they “are God”, and you can see that his psychological process in that moment was 100% authentic, you believe that the actor was actually having that revelation for the first time. There is no acting, he is not pretending, he goes through a small but authentic psychologically realistic process at the end of which he is actually changed as a person, and we fully empathize with him in that moment. It didn’t play well at the box office, maybe because it doesn’t have an intense conflict or known actors… but thanks to its sincerity, this movie surpasses its flaws and infiltrates deeply in your heart and mind and you find yourself thinking about it days or even weeks after viewing. It reverberates in you with delay, but the payoff is truly revealing. There are also pseudo-documentaries that are not found footage. The effect isn’t the same because we know that the footage was edited and brought to us by the same people involved in filming, so the magic of the pseudo-authenticity weakens and the movie loses its power to drag us into a total empathy. For example, The War Game (1965) and Lake Mungo (2008) are pseudo-documentaries that are not found footage. A lot of film professionals confuse pseudo-documentaries with mockumentaries, which are based on parody, satire or farce. They are either self-aware, often making fun of their own concept, or they’re trying to trick people that they are real documentaries, which makes them hoaxes and again gives a mocking element to the concept. For example, This is Spinal Tap, Borat, Man Bites Dog or Operation Lune are all mockumentaries. Ashley Bell delivers in the found footage movie The Last Exorcism (2010) one of the greatest acting performance of all time for a possessed character! It’s an Oscar-worthy performance, the one that finally gave true meaning to found footage acting, bringing it to an incredible new level! Just watch Ashley Bell going onscreen almost instantly from a cute innocent girl to a terrifying being! And you know that she isn’t faking because you see her face turning red and her veins swell, almost ready to explode! Great acting happens when the actor isn’t acting, isn’t pretending, but goes during filming through authentic psychologically realistic processes at the end of which he’s actually changed as a person, so that you’re able to follow the lifelike processes, to understand and believe what you see and hear, to empathize with the actor! And Ashley goes through such a genuine process at the end of which she is actually and personally changed at all levels! And what an impact can such a performance have over us, the audiences! 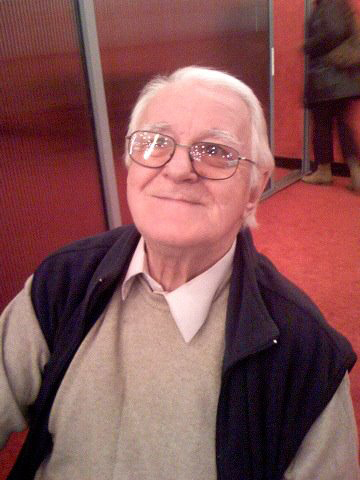 For nearly 50 years Ion Cojar fought in Romania to point out the necessity of his method in acting and theatre and to implement it at nationwide level. He didn’t make the connection with filmmaking, but it seems like all over the world, other visionaries achieved similar goals through the found footage concept! The relevant examples are just a few right now, but they are incredibly strong and need to be experienced by everyone! And this is only the beginning! It has to be! I sincerely hope that some day found footage films will be winning Oscars! Filmmakers, academics, critics and moviegoers need to understand the philosophy in which the huge potential of the found footage filmmaking concept truly lies! And those who already understand it have to be united and raise awareness! It’s up to all of us to make the change happen!